Located in the heart of Perth, this late-Georgian stone residence was built in 1823 for Reverend Michael Harris, the first Episcopalian minister in the district. By 1833 it was the home of Thomas Mabon Radenhurst, a prominent lawyer in the community. Ella Inderwick purchased the property from the Radenhurst family in the 1890s and named it "Inge-Va" – a Tamil word meaning "come here." Her son Cyril, a founder of the Architectural Conservancy of Ontario (ACO) in 1933, inherited the property. 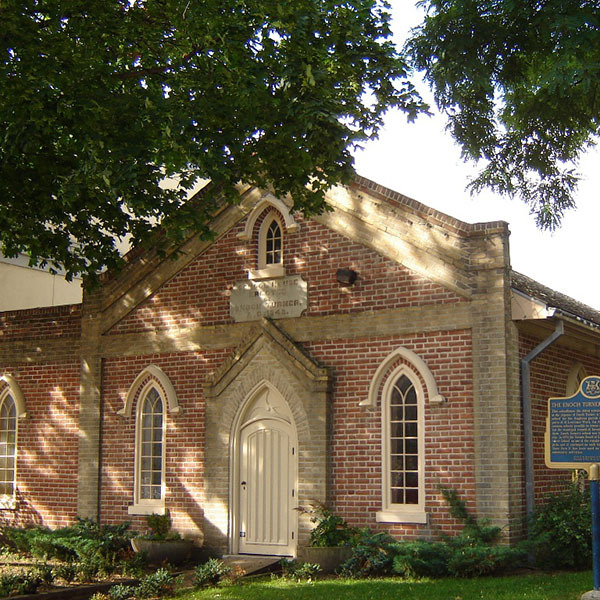 Inge-Va was donated to the Ontario Heritage Trust by Cyril's wife Winnifred in 1974. The Trust conducted an archaeological investigation of the property from 1987 to 1993. In 1989, Winnifred Inderwick bequeathed to the Trust a collection of furnishings that provide insight into the history of the house and the wider Perth community. 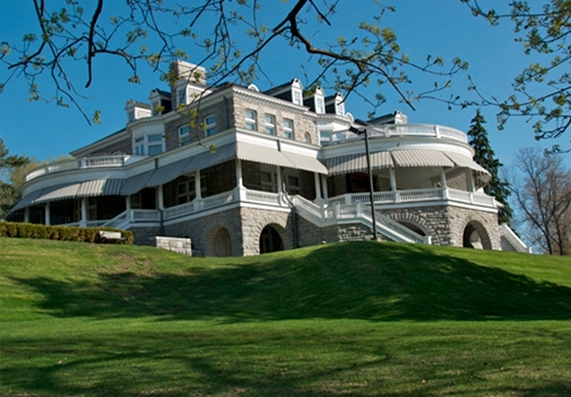 Following extensive research on the history of the house, the Trust used funds provided by the provincial government to complete a major restoration of Inge-Va in 1995. Archaeologists made a startling discovery at Inge-Va in 1988. While excavating the site of a privy from the Radenhurst period, they unearthed thousands of pieces of dishes, glasses and kitchenware. It appeared that at some point the Radenhursts had thrown out everything they had used to consume meals. Why would they have done this? Historical research came up with a possible explanation. Between 1866 and 1873, five of the ten Radenhurst children fell ill and died. One death was attributed to typhoid fever and three to tuberculosis. The idea that disease could be caused by germs spread from one person to another was then gaining legitimacy in medical circles. It may be that the Radenhursts had disposed of all communal items that had been used by infected members of the family. Archaeologists at the Trust have reconstructed 369 ceramic vessels and 283 glass objects from the Radenhursts' privy. This collection provides a direct connection with a poignant episode in the history of Inge-Va and reminds us of the loss of life inflicted by contagious diseases in 19th-century Ontario.